Hockenheim. I think. Maybe it's just me but I completely lose track of which German track is being raced on every year. The magic-TV-people say it's Hockenheim this year. 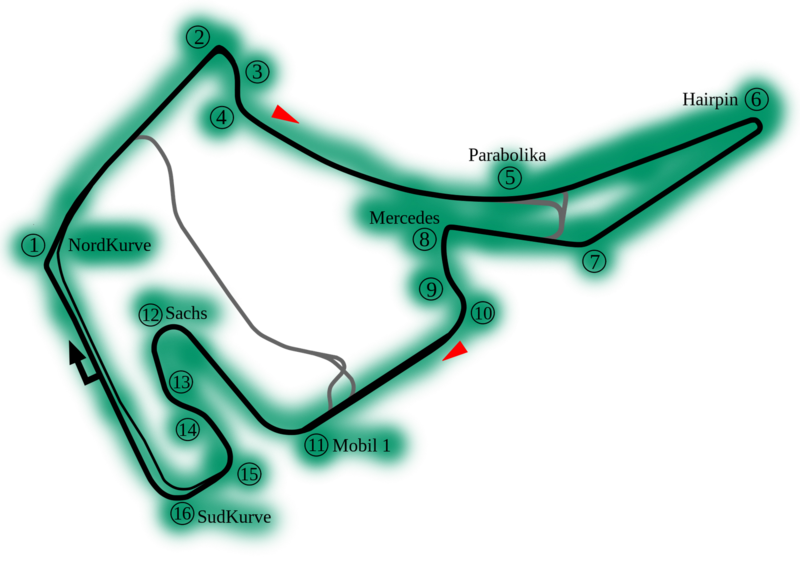 Barren and stripped of its soul, the Hockenheimring always makes me meloncholy. I know F1 didn't like long laps and low total lap races, and I know that the cost of making the forest bits safe would be astronomical, I know it was put together by track designing legend Hermann Tilke, but to take something with so much character and put some corners and a hairpin in is just sad. It's not all bad though. It looks like a woolly mammoth skull and Parabolica is kinda cool. I guess it has some distinction for being almost completely flat and bland. Let's get on with it then.